Oregon German Shepherd Rescue View other German Shepherds for adoption. Diesel is a 2-year old German Shepard/ Rottweiler mix. He was in training as a PTSD and mobility-support service dog, but has failed out of the program and is looking for his forever pet home. Part of the reason he failed is that he was secretly being abused in his home by another house member, (it was caught on camera and that person arrested). He has not fully recovered from this and it sometimes shows up as mild separation anxiety (he's a chewer and sometimes eats things he shouldn't like his blanket) and ducking when you raise your hand or make sudden moves. Diesel was also attacked by a small dog and continues to be not fond of them; however, if introduced slowly, he does just fine. Same with cats. He is sensitive, goofy, medium to high energy, snugly, and will make you laugh for hours with his antics. He has nice manners if you remind him to use them, and walks well on a leash in a halty or on a choke chain. He does have some leash reactivity with dogs he does not know, and needs to be introduced to other dogs slowly. We've been working on changing that, and he is doing somewhat better, but will need continued training. 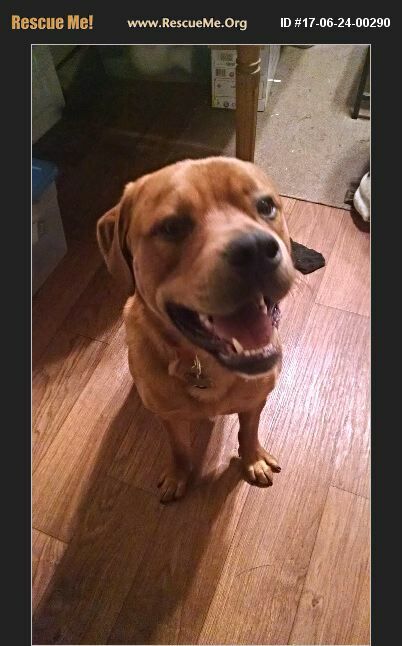 Due to his energy level and size, he would probably do best in a home without small children. He loves them but doesn't always remember where they are and can knock them down by accident. He's currently in Olympia, WA but would love to meet you.